How to get the firmware and what’s my MMI? First of all, you have to recon which MMI your car has. 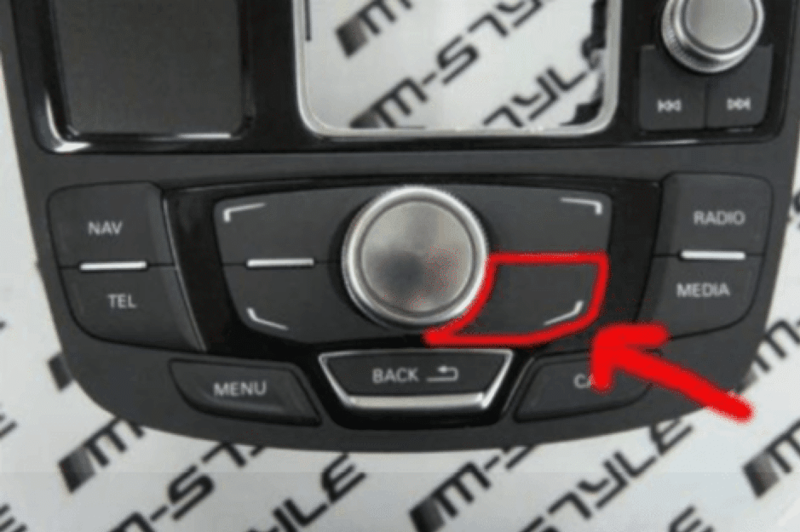 You can enter there by pressing the CAR and SETUP (or sometimes MENUor BACK) buttons on your MMI console. Most Trans it’s your current MMI version. 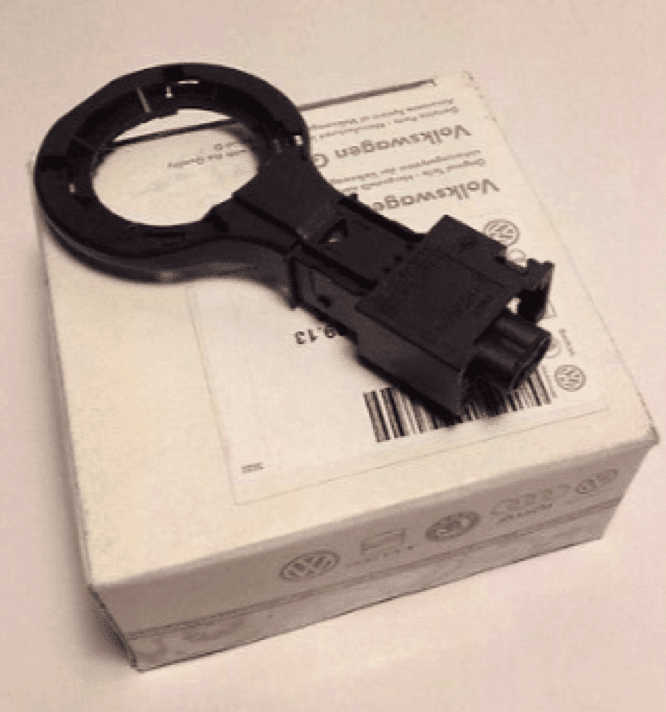 It might have HN+ or HN+R, the difference between them it’s that they have been installed in different cars. MMI 3G PLUS with firmware starting from HN+ has been installed in Audi A4/A5/Q5/Q7. 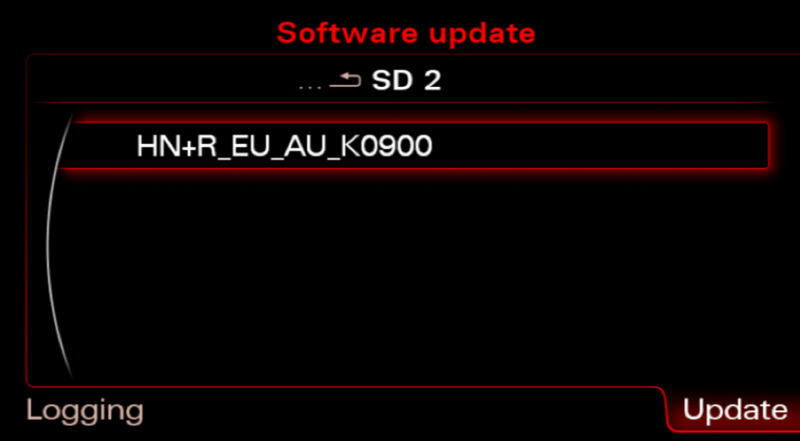 When you have bought the firmware and downloaded them, you have to now unzip it and put on to SD CARD on to root folder. IMPORTANT: PLEASE DO NOT USE MACOS TO COPY THE FILES. 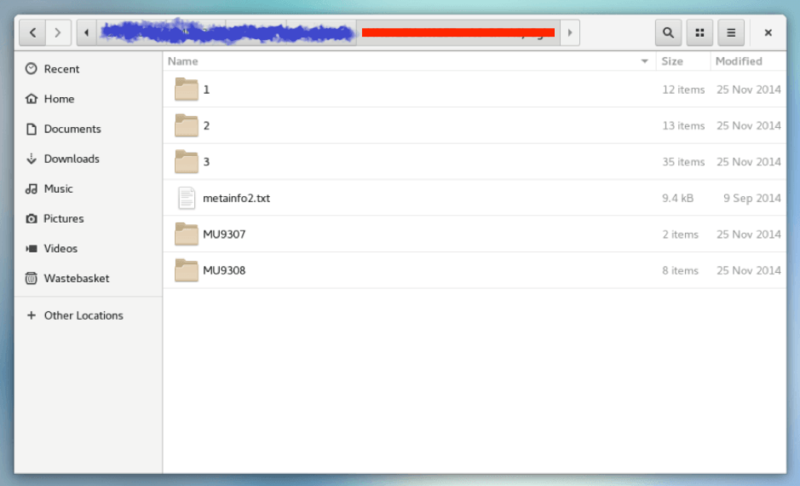 MACOS CREATING LOTS OF HIDDEN FILES AND MMI CAN BE LITTLE BIT CONFUSED AND DISPLAY ERROR. SD CARD MUST BE FORMATTED AS FAT32! Open “Engineering Menu” pressing the CAR button and immediately after that the BACK button. Hold both buttons pressed for a few seconds. The following screen will appear. Your software will be lower version. 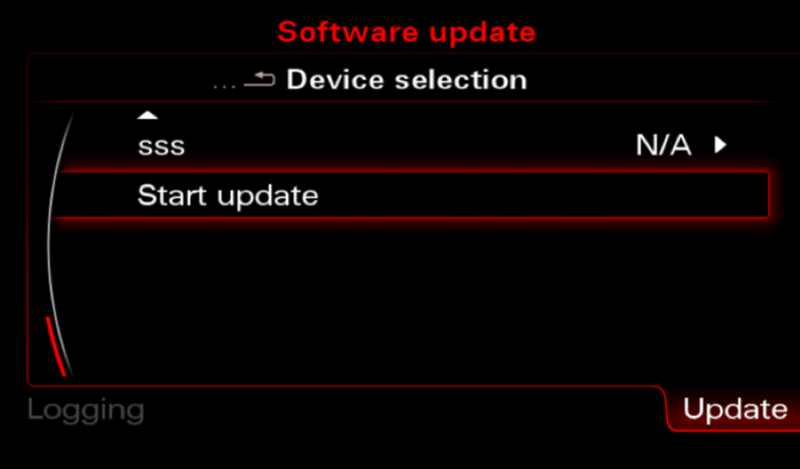 Press the “Update” option using the MMI Control Panel. 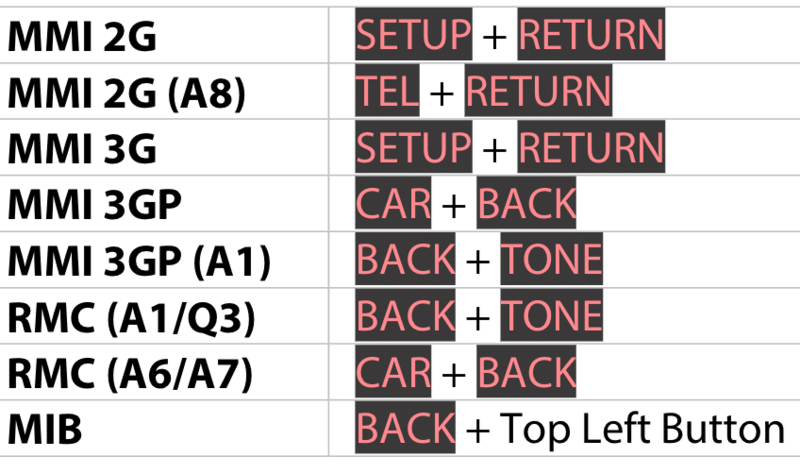 Caution: If your car is equipped with BOSE (8RQ or 8RY) sound system and don’t know how to recode it… we recommend that you unselect it from list (using User- Defined Mode) before update. How to enable User Defined mode? 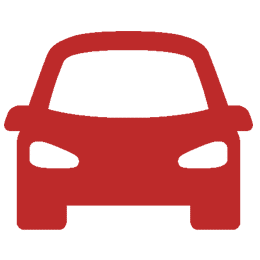 Find BoseG3_Q7 or BoseG3_ or BSG3C7_ANC or BO_Q7(depends of car model you have) and take every tick off until there is a letter N near Bose. To do it, you need to enter to this item, and change near all items to N in all second rows. So, finally near Bose should stand N.
This is very important – don’t forget to make it. and click Start download. 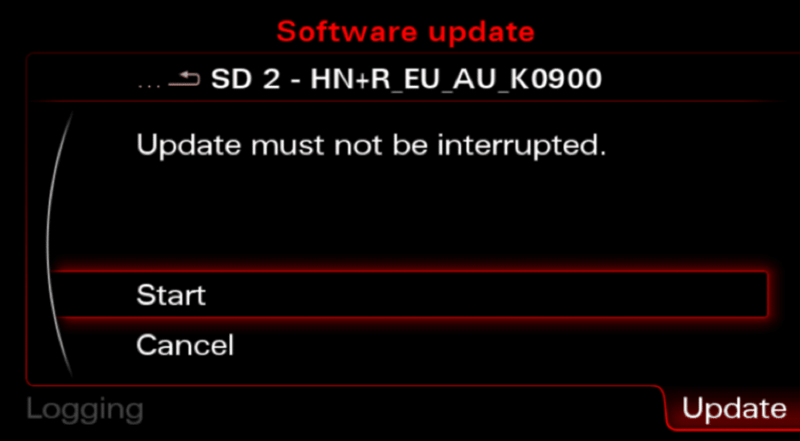 After 30-60 minutes (it depends that what it has to be updated) the firmware update will be done. Scroll to bottom and press “Continue”. On the next screen select the “Abort documentation” and the MMI will reboot. 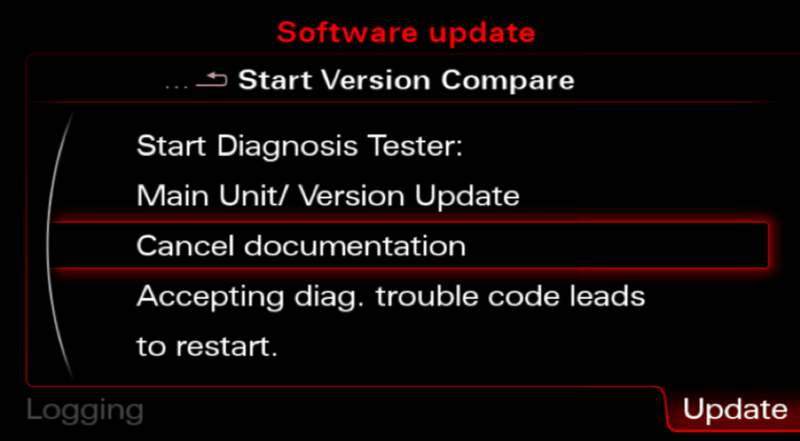 Once the system has rebooted, the download application may show a screen that displays the update progress of various devices. 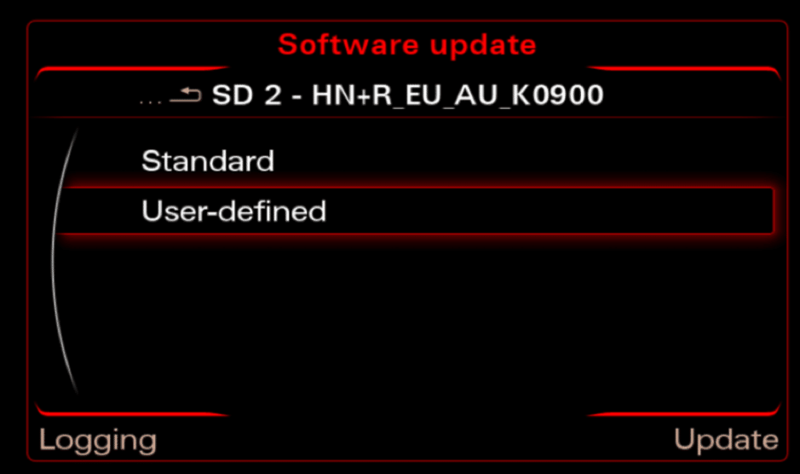 As soon as all devices have registered with the upgrade application, the update process is activated, and the progress is shown on screen. The system may reboot many times during the update and programming session. 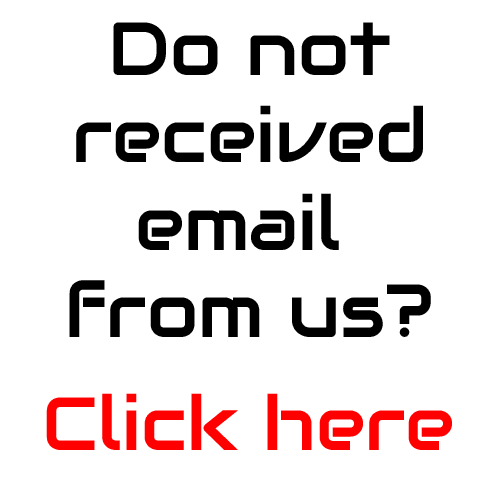 This is carried out completely automatically and does not required you to take any action. Once the system has rebooted, updating is continued and the “Download progress” screen is displayed many times. Because you don’t have connection to Audi SVM you have to “Cancel documentation” here. This is the reason for ECU ERROR CODE: 03276 Please Check Software Version Management in 5F Information Electr. If you don’t have that big SDCARD, you can use any pendrive, but you will need cable MMI -> USB ( you can buy it here) I’m doing like that, and everything works properly! 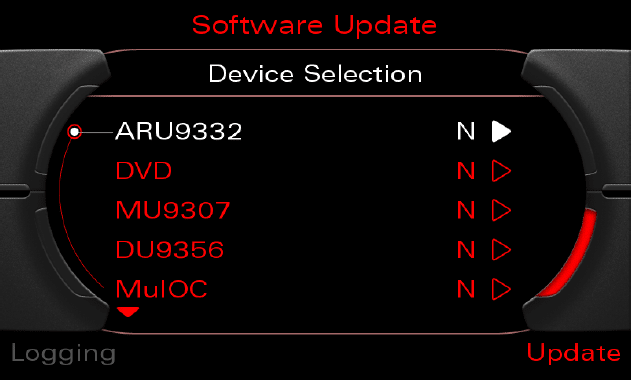 I have gone into engineering menu and it says “Most train version:AU3G” and “MU Software:0524” does it need update? and also how do you come out of the engineering menu? What exactly it saying in most train version? Can the car be running during the update or does it need to have the engine off? or you can turn on engine every 20-30 minutes if you do not trust your car battery. I just want to say that I was able to successfully update my firmware within about 30 minutes thanks to your guide and product. It fixed the bluetooth audio issue I was having as well which is great. I want to thank you for your awesome work! I am deeply impressed on what you are doing here! Great work and you made my day! Thanks you!